Kyon, your typical high school student, has long given up his belief in the supernatural. However, upon meeting Haruhi Suzumiya, he quickly finds out that it is the supernatural that she is interested in; aliens, time travelers and espers among other things. 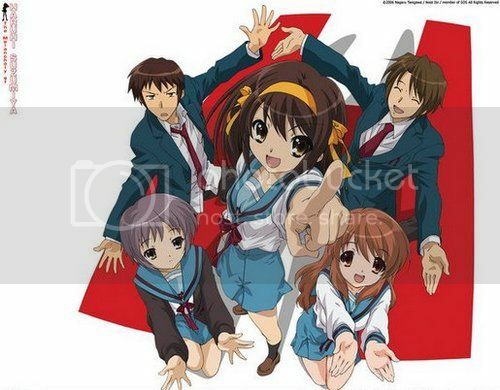 When Haruhi laments about the lack of intriguing clubs around school, Kyon inspires Haruhi to form her own club. As a result, the SOS Brigade is formed, a club which specializes in all that is the supernatural. Three homeless companions -- a runaway girl, a transvestite, and an alcoholic -- find an abandoned newborn on Christmas Eve while foraging through trash. Using clues found next to the baby, they fan out through Tokyo to find the parents, along the way confronting reminders of their own lives they have nearly abandoned. Epic stuff this time. :D All three top level anime. Probably my favorite animu. Omnomnom. I have seen 2/3, good animes. 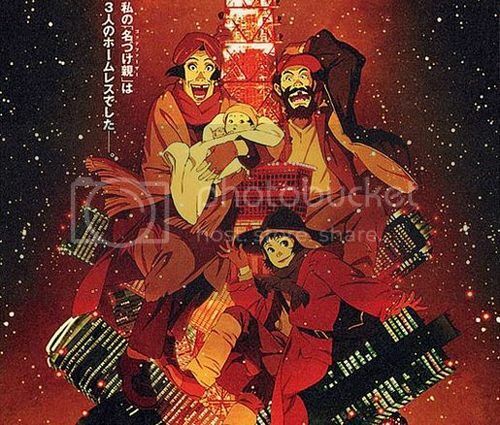 Watch Tokyo Godfathers too guys. 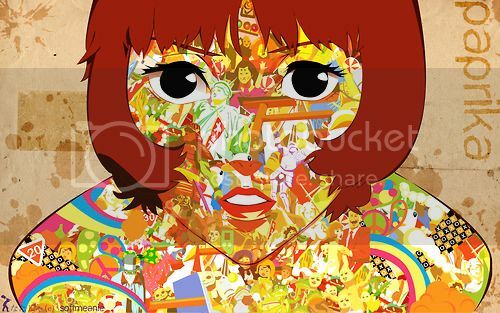 Awesome movie by Satoshi Kon, who did Paprika as well.